Hey Herders! Leading up to Episode IX, we know almost *nothing* about the movie – except that it has a GIANT job ahead of it. We bust out our speculation hats (yes, those are totally real things and not a hacky awkward bit of literary phrasing) and try to figure out where this film is headed. It’s not just the end of the sequel trilogy, but the entire Skywalker saga! How can one film possibly handle all of that!? 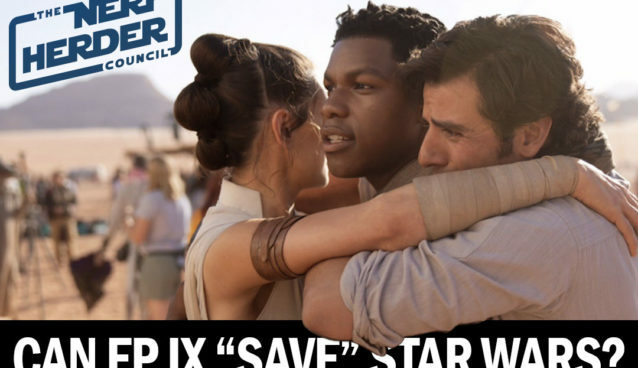 Some people think The Force Awakens and The Last Jedi have done too much harm to the saga for Episode IX to redeem it. Spoiler alert: those people are dumb and wrong! Also, there are spoilers in this episode. So be alert. For spoilers. Buy your NHC T-shirts and other gear on TeePublic!